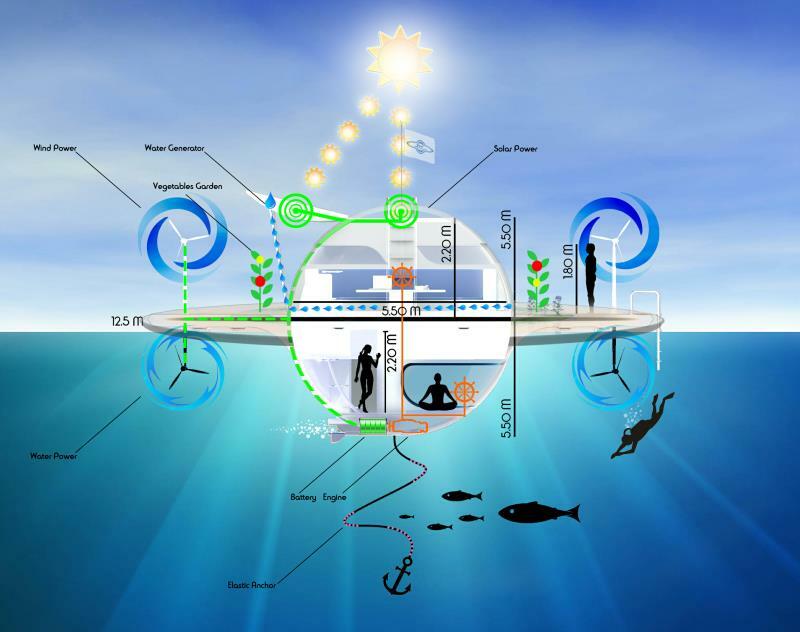 Travel the world in your own floating home living self-sufficiently! That’s not a dream anymore! 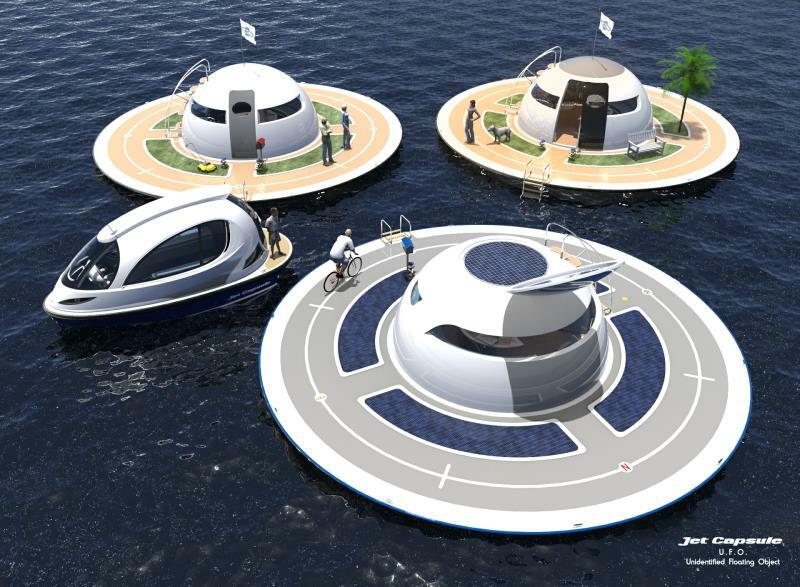 The Italian Jet Capsule company came up with the new UFO “Unidentified Floating Object” concept intended for living floating home. 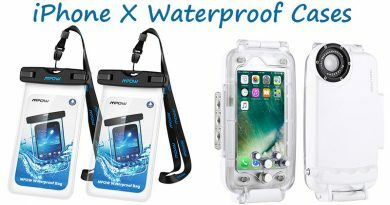 Have you ever imagined how cool could it be living freely, self-sufficiently anywhere in the world? Nowadays mobility is an important factor in life. People change countries and move more often than ever before, so renting a flat or house is more common than owning one. But this trend could change a bit now! 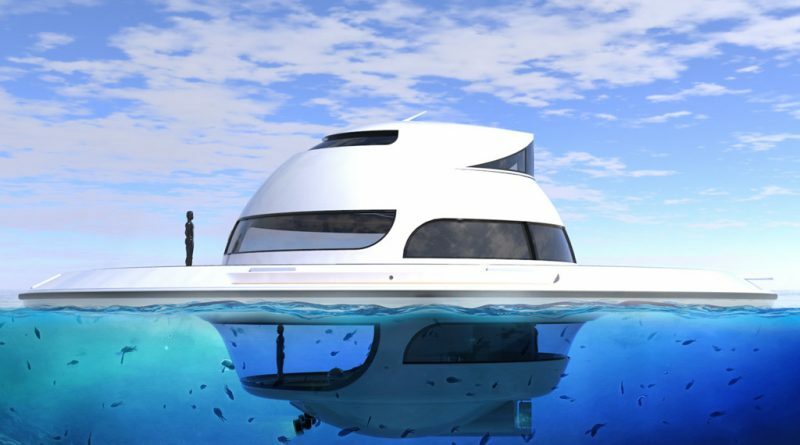 You could travel the world, live anywhere in your own mobile boat home which costs nearly the same or less than an apartment in the world biggest cities. 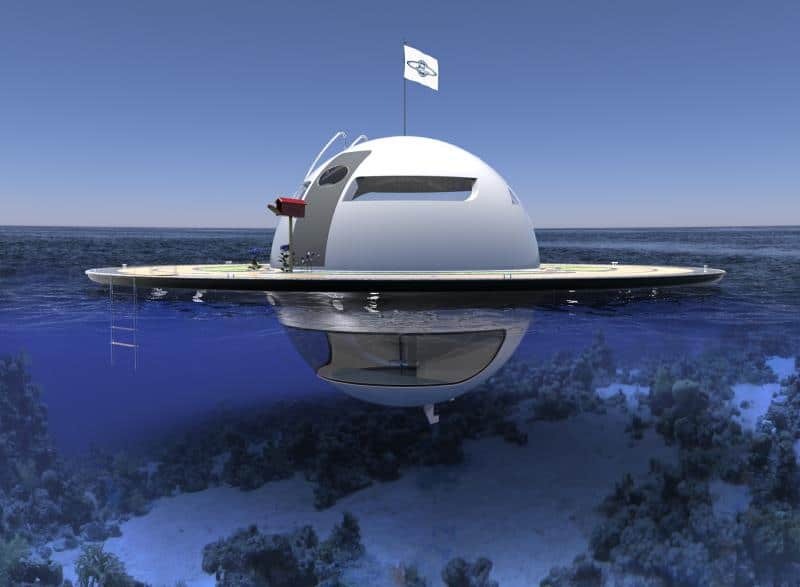 Although most underwater house concept origins from the Middle East, Europe is also not behind with creative thinking! The Italy-based Jet Capsule company is revolutionizing the boat market! 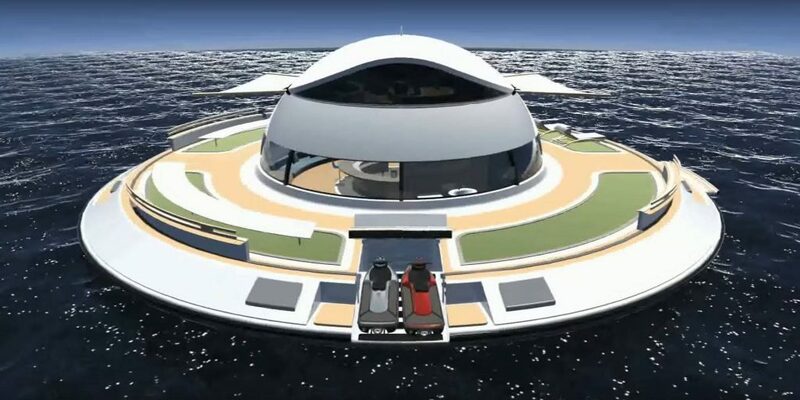 Their UFO floating home concept is an autonomous vessel; a flat with water mobility. 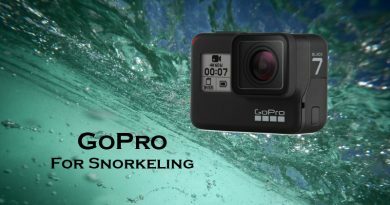 If rent prices continue to skyrocket and water levels continue to rise, the estimated starting price 200.000 USD does not seem extremely high and living in a floating house might not be that weird anymore! 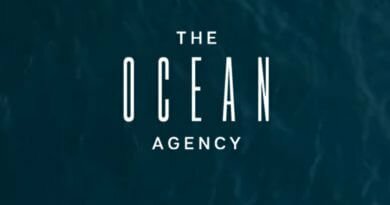 If you want to buy a floating home, the company asks customers to be patient and wait for their campaign that will start on Kickstarter soon! The Jet Capsule team is well-known for the innovative thinking and revolutionary ideas. 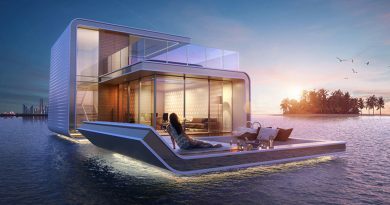 They bring a fresh new design to the water vehicles market with capsule styled water taxis and floating homes. Learn about their new concept, the UFO and UFO 2.0! 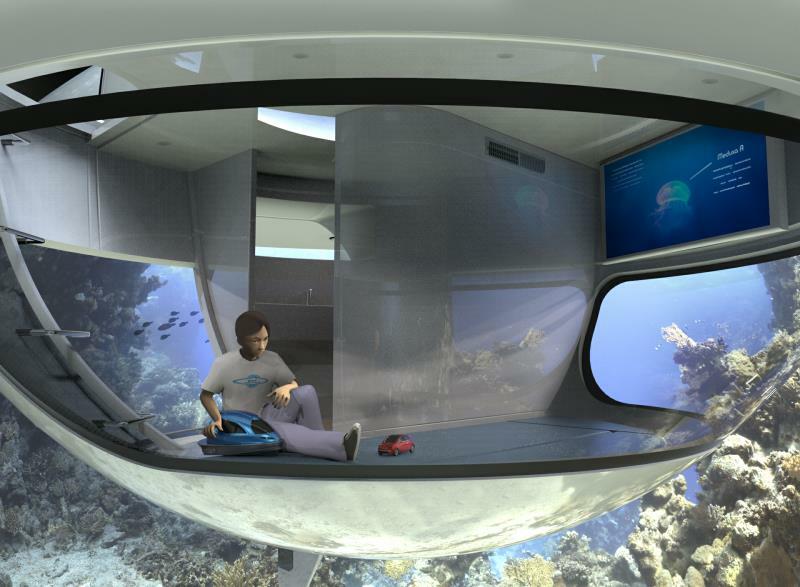 Tip: if you want to try out how it feels like living under the sea, have a look at the Manta Resort Zanzibar underwater room! The Jet Capsule UFO is a studio flat-sized waterjet propelled floating house that consists of a circular ring and interior. The floor plan could be designed individually. You may use the outer ring as a track for riding a bike, walking your dog or facilitating your own vegetable garden. UFO’s interior consists of a living/dining area on 20 sqm on the upper level plus 10 sqm bathroom/bedroom on the lower level. The large window surfaces on the lower level make you feel like living in your own aquarium. The 12.5 meters wide (41 ft in diameter) UFO is equipped with a waterjet propelled 80hp electric motor with a maximum speed of 6.5 km/h (4 mph 3.5 knots). 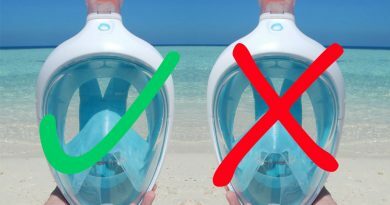 To keep the vessel stable, it has a special elastic anchor system. 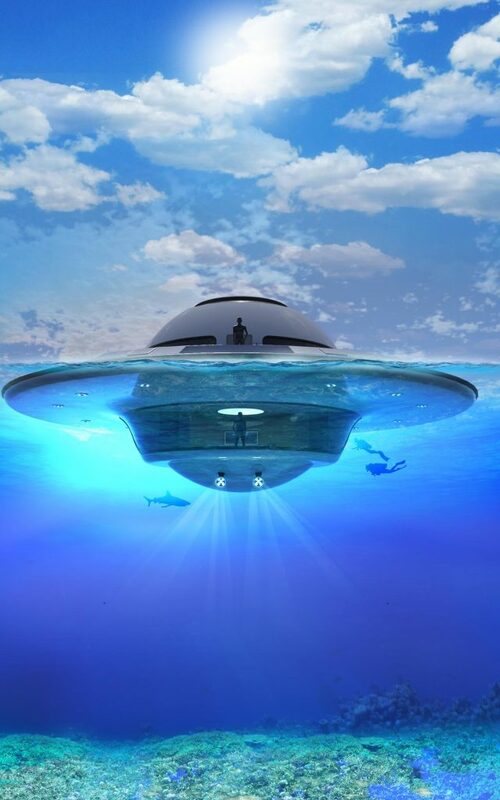 The UFO is unsinkable even in rough sea conditions. Floating houses use various systems to take advantage of natural elements. The main energy providers are solar panels in closable lid atop the structure (40 sqm altogether). There are additional wind and water turbines on top and below the main disc, these are creating power to operate the motor. You could convert rain or seawater to drinking water using a water generator. The terrace can be customized as a sun deck, garden or can be installed with wind turbines. The layouts and possibilities of usage are unlimited! 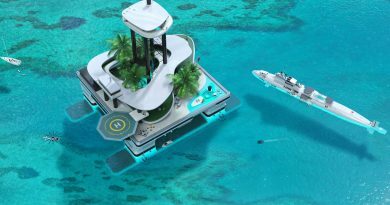 This luxurious water villa can be used not only as a floating home as well as a unique hotel reception, futuristic bar or undersea restaurant. The maximum speed of the UFO 2.0 is 9 knots. Two powerful 80 hp electric engines move your home easily. Solar panels and water/wind turbines always provide you essential electricity onboard. Unfortunately, there is no information available about the price yet.